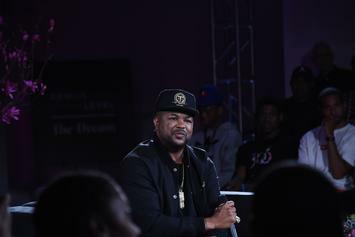 The Dream Comes Through With The Triple Album "Ménage à Trois: Sextape Vol. 1, 2, 3"
Three isn't a crowd this time. The-Dream Drops Off Cover Art & Tracklist For 38-Song LP "Ménage A Trois"
Just one week until the tape is here in full.